Thanks to our friends at Military Gear – Enoggera, we were able to briefly examine the Camelbak Rubicon. Posted in Military, Military Gear, Packs & Webbing by 22F with 3 comments. A simple, no-frills 43L top loading daypack, made of 1000 Denier cordura. Posted in Civilian, Military, Military Gear, Packs & Webbing, Short Trip by 22F with 6 comments. 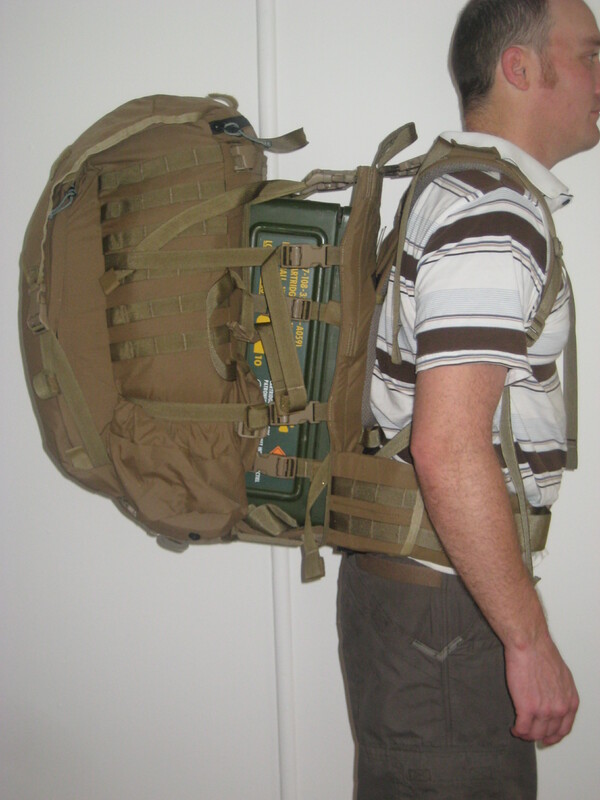 DESCRIPTION: A small assault combination assault pack with inbuilt facility to carry a 3L water bladder and 10L of cargo capacity. Posted in Civilian, Crossfire, Military, Military Gear, Packs & Webbing, Short Trip by 22F with 10 comments. A next generation offering of the classic combat smock. The traditional combat smock made of a cotton or NYCO blend of material, is intended to be a windproof (but not waterproof) garment to allow some protection from colder conditions yet allow breathability during high activity periods. This iteration of a combat smock from Vertx is not only windproof, but waterproof as well, due to it’s highly technical material that stops water droplets on the external surface, yet allows water vapour to pass through to prevent the wearer being struck by hypothermia. Posted in Clothing & Footwear, Military, Military Gear, Wet Weather by 22F with 6 comments. New kid on the block, this is First Spear’s offering of an Assault Pack that can be worn attached to combat body armour, or stand-alone with shoulder straps. Posted in Military, Military Gear, Packs & Webbing, Short Trip by 22F with no comments yet. A staunch supporter of Fire Support Base and this very site, Military Gear has made the big step of opening their own retail shop in Brisbane. Posted in Blog, Military Gear by 22F with 3 comments.